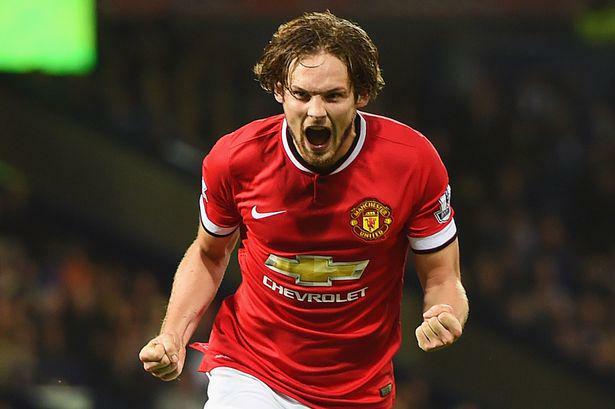 Manchester United have been handed a major injury boost after Daley Blind confirmed he’s returned to training on Tuesday afternoon. Blind has been on the sidelines since suffering a serious knee ligament injury while away on international duty with the Dutch squad back in November. The 24-year-old underwent surgery to rectify the damage and was initially not expected back until in to the New Year. However, it looks as though the midfielder is now closing in on an early return to action as he’s taken to Twitter to confirm he was back out on the training pitch on Tuesday afternoon. The news will come as a major boost to boss Louis van Gaal as he’s had to deal with a lengthy injury list during his first few months at Old Trafford with Blind just one of a number of players spending time on the treatment table. The former Ajax man enjoyed an encouraging start to life at United following his £14m move in the summer before injury hampered his progress. However, now he’s back in training he should be pushing for a first team return within the next two weeks, meaning he could be back in contention to face Yeovil Town in the FA Cup on January 4. Failing that, the midfielder should be available for the visit of Southampton to Old Trafford three days later.